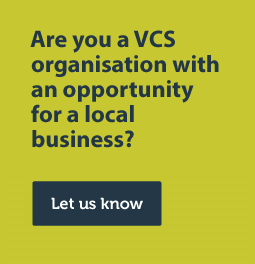 The Voluntary and Community Sector are vital components of a resilient community and they need all the support that they can get to be sustainable. Businesses sometimes do not realise what they can do to support them. It’s not all about money but also about skill, equipment, time and ideas. If you can help in any way there are some fantastic organisations making a real difference to our community, below are some opportunities for you to help. Worcester Community Trust is a registered charity that puts community at the forefront of the development of new and existing services, enabling everyone from across the whole city to get involved. It manages seven community centres in Worcester, providing space and facilities for community use and activities and services for children, young people and the wider community. The Trust are always looking out for new volunteers to help around the centre including help re-decorating. They also have a number of rooms and spaces available for corporate hire or team away days. 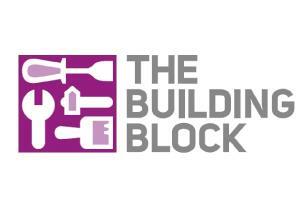 The Building Block is bespoke Construction Skills Centre sat in the heart of Warndon, run by Worcester Community Trust. This not for profit centre opening in November 2015. Why not come and join our team of volunteers who try to make a difference? Volunteering with Worcester Citizens Advice Bureau & WHABAC is challenging, varied and is often very rewarding. Whether you need to gain new skills and experience, make new friends, want to give something back to the community or just keep your brain active, we have opportunities for you. We help people with everyday problems by giving free advice and information. Our clients say the work we do really makes a difference to their lives. We train and develop our volunteers, so specific qualifications or experience isn't necessary, and we offer a full induction and ongoing support for every role. We need volunteers to work with people face-face and on the telephone. or call Colin on 01905 744564 for an application form. Worcestershire County Council wants to work with local business and enterprises to promote and support social responsibility and diversity in the workplace. We are offering bespoke support to employers to recruit, train and support employees that have a Learning Disability and other disabilities. As part of the "Having a Job" Plan, Worcestershire County Council delivers a Supported Employment Service across Worcestershire and can also offer information and advice. Imagine not being able to hear someone say 'I love you'. Perhaps you've never been able to hear these things - or perhaps suddenly you've found it more difficult to hear people. Deaf Direct is here to support people in Worcestershire living with hearing loss to help local people retain their independence and to encourage them to achieve the things they want to achieve. Whether it is interpreting at a GP appointment, helping people to choose which equipment they need to combat deafness, tinnitus and hearing loss, or providing information to those newly diagnosed with hearing loss, we are here to help break down communication barriers and change lives. We offer Deaf Awareness training to local businesses to improve their communication with hard of hearing and deaf clients or staff. This would help to make your business more effective and accessible. We offer an advice and support helpline, a telephone befriending service and support for those caring for someone at the end of their life. We also offer free training programmes for carers to enable them to carry out their caring role with confidence. We have a variety of volunteering roles and as the first organisation in the county to receive the gold standard “Investing in Volunteers” award, volunteers are offered excellent training and tailored support. We also recognise that working unpaid carers often have additional needs and so we want to work in partnership with employers to enable them to fully support their employees in their caring role. Do you want to make a difference to someone living with dementia? Side by Side is a volunteer-led service that enables people with dementia to continue enjoying life to the full (https://blog.alzheimers.org.uk/personal-stories/new-side-side-project-helps-football-lover-arthur/) by going out each week and doing the things that we take for granted such as a visit to a rugby match, a weekly swim to keep fit, or a visit to a garden centre for a cup of tea and slice of cake. By doing this you are enabling that person to maintain a sense of self and to contribute to a greater sense of positive well-being. As we all know, many people live in social isolation, often through no fault of their own and this initiative is helping people recreate their social networks and often create new ones with the support of a volunteer. Alongside the obvious benefits to the person with dementia and the volunteer, an employer may also see positive changes as a result of involvement in the initiative. Recent studies show that there are many benefits to employee volunteering. A survey undertaken by Business in the Community (BiTC 1998 The role of employers in Active Communities) states that community volunteering was directly linked to improved morale and motivation, improved communication, creating a caring culture and gave a positive message that the company cares. Side by Side offers a unique opportunity to volunteer at a time that suits you (weekday/weekends/evenings) and you would be paired with someone close by. We also offer this opportunity at Worcester Royal Hospital to help improve the hospital experience for someone with dementia. If you would like to know more about this and other volunteering opportunities at the Alzheimer's Society, please contact Janet.smith@alzheimers.org.uk. Wyre Forest Citizens Advice is a local charity, staffed mostly by volunteers, supporting local people. Our aims are to provide the advice people need for the problems they face. Also to improve the policies and practises that affect people's lives. Citizens Advice Wyre Forest provides free, independent, confidential and impartial advice to everyone on their rights and responsibilities. We value diversity, promote equality and challenge discrimination. There are many opportunities, something to suit most people. Administration, Reception, giving Information/Advice over the phone or face to face, Fundraising, IT Support, Campaigning, becoming a Trustee. (If you contact us, we can tell you what vacancies we have at the moment). If you want to find out more about the Roles and Training, contact Nicola North on 01562 60194 or email training@wyreforestcab.cabnet.org.uk. We will invite in for an informal visit before you make your mind up. If you have already decided to join us, you can apply directly online using our Application Form Look forward to hearing from you! We are a small charity offering residential stays on our farm in Bromsgrove to underprivileged and disabled children up to the age of 9. The children come either with their school, which would often be an inner city or special school, or with their family on a referral basis. We have a 9 acre site with a large farmhouse and friendly animals to interact with. We also welcome groups of corporate volunteers who want to spend a day here for a team building activity which will also help us to get a job done such as painting or clearing weeds. Anyone who would like to do some fundraising for us would also be welcomed. Worcestershire Works Well (WWW) is a free to access initiative which aims to support businesses to improve the health and wellbeing of the workforce in Worcestershire. Businesses are supported by WWW representatives to progress through a 3 level accreditation scheme at their own pace. More than 90 Worcestershire organisations, employing over 26,000 people are currently benefiting from the initiative.